I just read with quiet surprise of the death of Ian Barbour at the age of 90. Headlines proclaimed, “he was a man who found a balance between faith and science.” He once said, “If we take the Bible seriously but not literally, we can accept the central biblical message without accepting the prescientific cosmology in which it was expressed, such as the three layer universe with heaven above and hell below, or the seven days of the creation story.” In reading all about this theologian and scientist I couldn’t help but think to myself what was his big revelation? This is what Reform Judaism has been teaching since the early 1800s. Aren’t most people aware of how important it is to combine religion and science? Apparently not. He was eulogized as a man with a unique idea that science and religion should be viewed as being engaged in a constructive dialogue with each other. This is certainly an excellent idea, but hardly an original one. 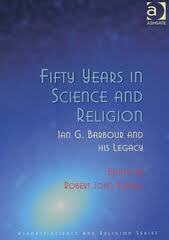 What I can say about Mr. Barbour, is to give him accolades for his scholarship in receiving advanced degrees in both theology and physics, and later becoming a professor of both topics. Certainly that type of scholarship takes a great deal of commitment. I lament however the fact that so many in the world are ignorant or should I say simply unknowledgeable of how important it is to take science and religion to heart in all we teach. I cannot imagine following a religious tradition that would in some way denigrate science, and scientific exploration. Many do especially in our region of the world. So this is what I ask from you: spread the word about our tradition of combining science and religion. We’ve been doing it for 200 years. It is the foundation of our theology, but somehow it seems like a lots of people are unaware of what we stand for. No religious movement seems more poised to address the religious questions of our modern age than Reform Judaism. A great idea, if kept secret from the world, accomplishes little. Maybe what the Union for Reform Judaism should be working on is making our great idea one not kept in the closet.